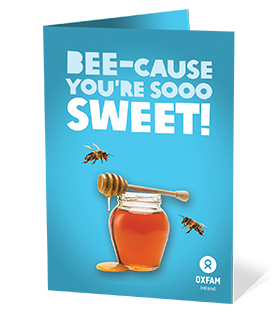 With this gift, you will kick-start a hive of activity through Oxfam’s Livelihoods projects. Rural farmers can learn the latest beekeeping methods and boost their honey harvest. More honey means more money and a brighter future for families in need. Sweet! The money raised by this gift will go into our Livelihoods fund, helping people to develop a sustainable way of living and lift their communities out of severe poverty. Every day used to be a struggle for Augustina in Ghana. Her family rarely had enough to eat and she couldn’t afford school fees. But an Oxfam supported beekeeping project changed all that. 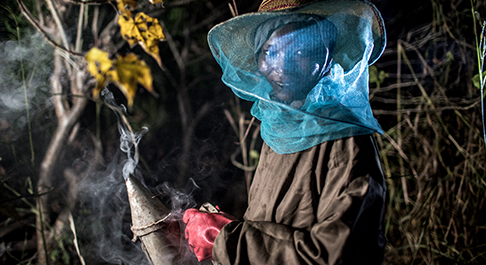 Now equipped with hives, equipment and skills, Augustina’s earning enough from her honey to support her children’s education.